Cornelia Thomsen’s meticulous paintings, watercolors, and large-scale drawings resonate with clarity of intention accompanied by precision methods of application. She rarely diverges from her initial point of departure, working with spatial intervals as a means of arriving at form. Thomsen’s alternating uses of linear and pointillist elements are seamlessly integrated into her work: her artistry—whether on canvas or paper—represents a subtle compilation of experience as carried forth over a signifi-cant period of time, her structural tenacity holding her various compositions intact. She achieves this by working through a carefully articulated process involving line, space, and color, all of them essential in her ongoing commitment to quality. a sense of tactile, metaphysical luminosity in contrast to the manufactured cosmetic approach associated with Pop Art. As for material and method, her manner of painting is profoundly concentrated, with results that offer highly cognizant pictorial statements, based on the medium of oil and linseed and painted on canvas without the intervention of turpentine. Since her manner of handling pigments does not preclude a conscious ability to work with ambiguity, Thomsen’s paintings are not predetermined. Her rigorous, steady applications of variously colored stripes, whether thick or thin, blurred or hard-edged, overlaid or submerged, evince a fascinating grasp of complex struc-turation, a method that involves the artist’s tactile engagement with the surface. In each of her paintings, her keen and conscious eye holds steady along a straight, untaped edge. There is no real American counterpart to Thomsen’s painting. She is not a formalist who works in accordance with Anglo-American prescriptions involving aesthetic probability: rather, her surfaces are given to measured stripes of reduced black and white complexity with intervals of neutral gray tones, aligned with pale color transparencies. The scale of her painting varies, but retains a definitive number of variants. For example Stripes Nr. 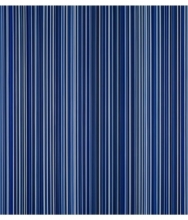 104 (2016) measures 48 × 32 inches, while the diptych Stripes Nr. 102+103 (2016) measures 72 × 96 inches. To describe the exact differences in these works would involve an entire essay in itself, but what they share is a common emphasis on black, white, and gray tones. Even this is de-ceiving, for if the viewer looks closely, there are multi-varied applications of color, some highly transparent, with blues and yellows and, occasionally, earth colors saturated into light gray tones. These pristine, delicately rendered stripes are inter-woven, but always straight, placed at intervals with white or nearly white spaces in between. 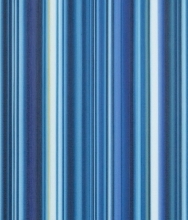 The overall rhythmic effect develops as the density of color is reduced to a minimum. The emphasis is placed not on displays of color but on contrasting elements within neutralized patterns that run across and within the surface. Any references to color are muted, not unlike late-tenth-century Chinese scroll paintings of the Northern Song dynasty. In these paintings, color is integrated in such a way as to create a surface schema of detailed complex modules. Thomsen’s works on canvas have little to do with the formalist notion of extended chromatic shape as employed in the Washington Color School. Rather, her subtle yet energetic chromatic evocations are integrated directly into form, recalling Franz Marc or the obtuse meditative constructs of Emma Kunz, with vertical components that are comparable to the kind of structured figurations heard in Bach’s Goldberg Variations. Rather than a strict purist endeavor, her paintings may be read as a sequencing of tempos, a comparison not inappropriate to Thomsen if one looks closely at the rhyth-mical cadences in the paintings chosen for this exemplary exhibition. Thomsen’s recent oil paintings, all from 2016, clearly mark a change of direction in terms of the way they reach out to us optically. In contrast to her earlier New York exhibition, they emphasize dark and light stripes rather than bands of overt color and there is a grayish mixture within these aggregates of stripes that subdues the starkness of the linear motif. The immediate effect may appear neutral until one begins to move inward. Her method of painting constitutes a systemic understand-ing of form, which is the essence of her practice. The chromatic scale in her recent work is original to the extent that color is subjugated to tonal variations of gray, which summarily produce an intriguing optical effect.While I regard Thomsen’s paintings as essentially Kantian to the extent that their aesthetic and moral dimensions are intrinsically linked to one another, her draw-ings retain a quiet softness that seems to expel the philosophical dimension and return our attention to pure abstraction, less from the position of style than from the distilled equanimity of composition. 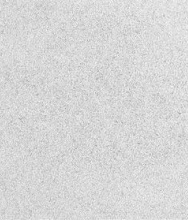 Thomsen’s ink drawings, using a tradi-tional ink nib pen on BFK Rives printmaking paper, originate as loosely defined patterns that evolve into an immediate, irrevocable series of intricate, unicellular airborne forms. It is difficult to know whether we are peering through cumulus clouds or being hypnotized by the microscopic foraminifers found in tide pools along the ocean shoreline. The drawings in this exhibition, including Nrs. 37, 41, and 42 (all 2016), vacillate between lighter and darker surfaces, but each work retains its own unique identity. This allover, indeterminate way of seeing became evident in Cornelia Thomsen’s denser, darker drawings from 2004 and 2005. While her method of concentration plays an important function in all her works, the impact of the drawings is different from that of the paintings. This difference might be regarded as a significant part of her work, and—dare we say—a moment to behold ourselves in the light of perception. Robert C. Morgan is an international art critic, artist, curator, and scholar. After completing his MFA in Sculpture, he went on to complete a PhD in art history. He is Professor Emeritus at the Rochester Institute of Technology and currently teaches in the Graduate School of Fine Arts at Pratt Institute. In 1999, he was given the first Arcale Award in International Art Criticism in Salamanca (Spain) and in 2011 he was inducted into the European Academy of Sciences and Arts in Salzburg.